Because Shanna Said So...: Designer Shoes Available Where? Okay, ladies, another retail brand has decided to follow in Target's footsteps by joining forces with well-known designers to create an affordable line for their store. Guess who it is? Payless, my friends, Payless. Once you see the pictures, you won't believe your eyes. The blue loafers that are featured are in the latest issue of People Style Watch magazine. They caught my eye immediately and was super impressed that they were from Payless. I have no problem admitting that I own several pairs of shoes from this store. It's always hit or miss, but they have seemed to step up their game a bit in the past year or so. The shoes that I do own have actually held up well. What's funny, is that I always seem to get compliments when I wear a pair of shoes from Payless versus when I wear my more expensive brands. Go figure! If you have been reading my blog, you know that I love bargains and shopping on a budget. Like I always say, "You don't have to spend a lot to look like you did." And these shoes, my friends, are all under $60.00. That's what I'm talking about! So without further ado, here are some of my favorite designer brand shoes from Payless. There are several other styles available, so if you like what you see, and I hope that you do, hop over to their site and check out the full line. Pretty impressive, right? My favorites are the blue loafers, turquoise espadrilles and yellow heels. Which ones do you like? Cheers to espadrilles, and loafers and wedges, oh my! Today I am linking up with the following link parties. Check out these site for more Wednesday fun! Those first blue flats are so stunning - I love them! I got some cute shoes from Payless not too long ago... sounds like I need to go back! Someone told me that Payless is going out of business... tell me it isn't so. I've gotten 2 pairs of shoes from them just in the past few weeks and I haven't gone into one in years. 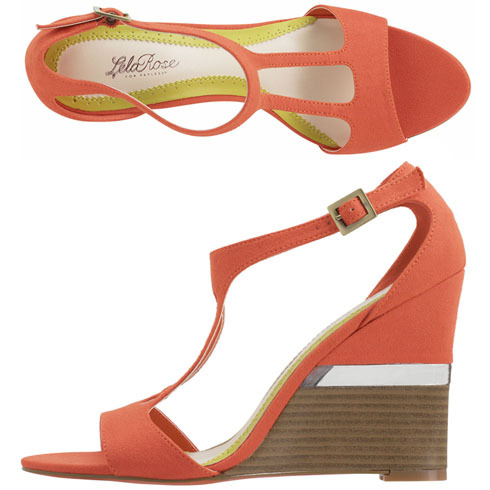 I love those coral wedges! I haven't been into a Payless in a really long time but after seeing all of these shoes I think it's time for me to stop in! I am dying over the blue loafers and the yellow heels. I have to go check them out!! I love the polka dot flats. 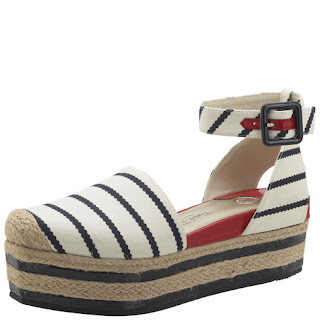 Wow, I'm now googling where a darn Payless is because I want those wedges! Those shoes are all so cute! whhhhatt? This is too good to be true! I love all of them/want all of them! I love all of these shoes!!! I need to stop by payless, I've been missing out! 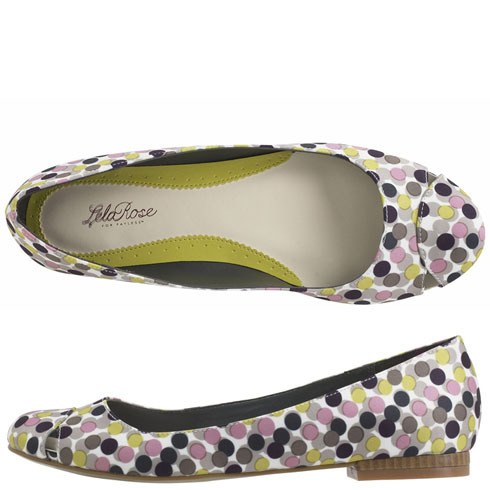 The Lela Rose yellow ones are pretty darn cute! I wonder how well made they look in person!? Oh my stinking gosh! So cute!! How awesome! Love the Lela Rose pumps! love yellow! and love Christian Sirano! I didn't know Payless had these!!! Thanks for the comment! Was happy to find your lovely blog. 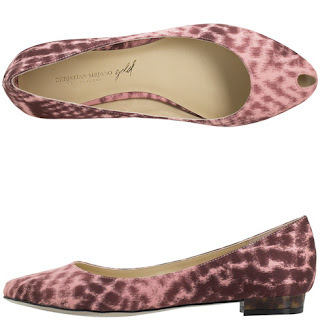 I love payless designer collabs, how on earth did i miss those lela rose mustard pumps! who knew?? i love those turquoise espadrilles, too! Loving so may of those shoes and what a super cute blog you have!!! I'm slowly getting into the wedges trend, but definitely loving that I stumbled upon your blog! Love the colors too and background! Yay! Something about paying less for something great just feels so great doesnt it? I love finding little gems like this. Hadn't checked out payless in awhile but I definitely will now. Thanks for sharing! These shoes are so cute! Payless has really been stepping it up lately.... the bright colors and the cool geometry are amazing! Definitely excited for these shoes..
Love theses designer shoes sale!!! awesome Shoes! i love this post! Thank you for providing the information. I have recently found a site called consign of the times which is also providing the service of designer shoes, clothing etc. Awesome collection..really want 2nd & 4th one.